India playing five one day internationals against South Africa in South Africa, just one month before the World Cup in India raised the eye brows of many Indian cricket aficionados. In the past, India could never do well against the hosts in the fast and bouncy pitches there. What will Indian players gain by playing matches on fast and bouncy pitches when the World Cup is going to be held in the flat batting tracks of the subcontinent? – This question puzzled many except those in BCCI. To the Indian surprise, all the matches were held on comparatively slow pitches and the Indians came out of the series winning 2 out of the 5 matches. Only the time will tell what the Indian team gained out of this series but a post mortem of this series reveals many interesting facts. Sehwag, Praveen Kumar and Gambhir returned to India even before the start of the series with injuries. With Piyush Chawla, Ashwin and Rohit Sharma in the squad, the first two matches were looked upon by many as chances for the Indian selectors to try out these players before declaring the Indian team for the 2011 World Cup. Team composition for the first two matches clearly proved that the selectors or the team management didn’t have any well thought out plans. Ashish Nehra looked completely out of sorts and Rohit Sharma sent in as replacement for Sehwag batted at No.4 and No.7 in the first two matches. Indians were beaten outright in the first match but won a thriller in the second despite Dhoni’s lackluster captaincy almost presenting a victory to South Africa. Even when it was very clear that India’s only winning option was to bowl out the South Africans, Dhoni kept persisting with part time bowlers and brought back Munaf only when the South Africans were very close to a victory. Luck was with Dhoni and India on that day. Tendulkar returned to India with an injury and Parthiv Patel was sent in as a replacement. Indian team for the World Cup was announced and that seemed to confuse the team management more. Lack of a specialist opener forced the team management to thrust the role of an opener on the World Cup discard – Rohit Sharma and Dhoni didn’t have the gumption to use this contingency to test the disaster management skills of his team. He could have opened with Kohli and promoted himself to No.3. Though India won a thriller in the third one dayer through some hard hitting by Yusuf Pathan and presence of mind of tailenders, rain denied a century to Kohli and an outright win for South Africa (though they won by D/L Method) in the fourth one dayer. Fifth one dayer showed the display of individual brilliance by Amla and Pathan. Cricket fans wondered what would have happened had Amla been caught by Ashwin at 70 and Duminy given out in the second ball he faced and rain not interrupted South African innings. Though South Africa won a thriller as shown by score card, apart from Pathan and Parthiv Patel to a small extent, none of the Indian batsmen took the fight to South African camp. Though the official Man of the Match was Amla, there was no doubt that the fifth one dayer would always remain etched in cricket lover’s memory for Yusuf Pathan’s innings. India lost yet another one day series in South Africa but the fact that this team went down fighting even without 3 reputed players is a consolation. Indian team management and selectors never had a plan and was confused on the selection of players. They neither selected the team with an aim to win the series nor with an aim to give exposure to World Cup players. But with days to go for the 2011 World Cup, this series also exposed many weak links in the Indian side. Ashish Nehra’s lack of form and the inconsistency of Yuvraj, Raina and Dhoni are sure to create sleepless nights for the team management and selectors. Lack of a good fifth bowler was clearly visible from the way South Africa recovered several times after an initial collapse. A world class side should be able to overcome any eventuality and this Indian side’s inability to overcome the opening problem that surfaced due to the injury to openers will pose a question mark on the quality of team selection. Rohit Sharma and Murali Vijay turned out to be complete failures and it got forgotten due to the fact that they were not included in the World Cup team. Kohli, Pathan, Zaheer, Munaf and Harbhajan did something of note. A diffident captain, a brittle middle order and a bowling attack with inconsistency written on it, this Indian side has flooded the minds of Indian cricket aficionados with doubts. “The big learning from this game is to keep wickets in hand for the last ten overs” – the parting words of the Indian captain summed up the whole picture. Did Dhoni become Indian Captain without knowing the basics of the game? “A captain is only as good as his team,” is a popular saying in the cricketing world and if this holds good, Mahendra Singh Dhoni should be the best Test captain in the world at the moment. No doubt, the Indian Test team has been doing well under his captaincy and has attained the no.1 ranking. Fighting back and winning Test matches abroad has become a habit for India, but still find satisfaction in drawing a series abroad and are not disappointed in not winning it. Indian team still gets worried about the green top wickets even though they boast of the best batting line-up in the world. Don’t you think that there is something missing in the overall performance of the best Test team? Though India with Azharuddin as captain and Ajit Wadekar as coach won a lot of Test matches, those wins were never appreciated by critics as the majority of these wins were in India and on spinning pitches. It was Saurav Ganguly who changed the face of Indian cricket team with his aggressive captaincy. Those who switched off their TV sets after the exit of Sachin Tendulkar till then started watching the whole innings. Ganguly was a players’ captain and also a people’s captain. He stood for the players through thick and thin and instilled confidence in youngsters. Don’t forget that when Saurav Ganguly took over in 2000, Indian cricket was in dire straits after the match fixing controversy. That young Indian team has matured under the subsequent captains Dravid and Kumble. Now under Dhoni, the team is still winning due to the performances of the experienced players. Any cricket fan following the development of Indian test team will notice that the performance graph of this team is not on a big ascent after the exit of Ganguly as captain. From a losing team abroad, India reached the level of drawing team abroad under Ganguly and now after a few years under Dhoni, the team is expected to be a winning team abroad. That has not happened and don’t seem to happen in the near future and that is when we look at the strategies and skills of a captain. No new strategies, poor man management skills and the team lacking killer instinct, Dhoni as a captain stands exposed after the South African Test series. Attacking the opposition team verbally before a Test match is a common tactic used by Australia and South Africa and Dhoni played into their hands by criticising Sreesanth in public. Sreesanth’s good bowling in South Africa despite his captain’s public criticism shows his strength of character and not Dhoni’s man management skills. He forgot what Andre Nel and Allan Donald had done to Indian batsmen years back and found fault with Sreesanth. This was never expected from an experienced captain. With South Africa in dire straits in the fourth day of the final Test, Dhoni had no back-up plan to counter Kallis and tail enders. The fact that the fielder who went to the boundary to fetch the ball after Kallis reverse swept Harbhajan never came back to his actual fielding position showed Dhoni’s lack of confidence. With Harbhajan bowling well from one end, any captain would have bowled a left arm seamer from the other end to help the off-spinner with the rough created by the left-arm seamer’s foot marks, but not Dhoni. He preferred to start the fourth day with Sreesanth. Dhoni doesn’t seem to nurture talent like Ganguly. Abhimanyu Mithun, who bowled decently in the dead tracks in SriLanka was never selected to represent India again even though Dhoni had praised his performance. There is no doubt that Mithun would have bowled better than Ishant Sharma in the bouncy tracks in South Africa. Is Dhoni like Azharuddin, not having the back bone to fight for his favourite players with the selectors? If India was playing for a draw on the final day of the third test, why didn’t he send Pujara at No.3 after the fall of Sehwag? That would have given a big boost to the confidence of this youngster. India is an ageing side and if they have to escape the phase that Australian team is going through now, BCCI has to take some bold steps. Dhoni doesn’t seem to have the skills to take India to the next level and we should not get fooled by the statistics. 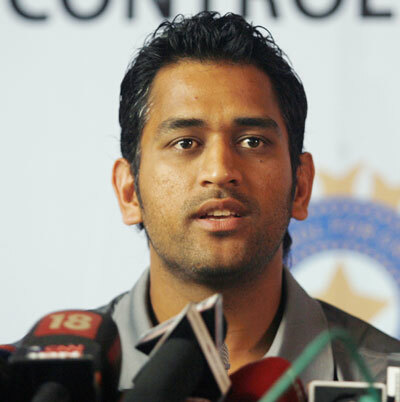 It is time to think beyond Mahendra Singh Dhoni as captain. Cricketers come in all sorts. Some restless who can’t sleep a wink before the Test, some carefree, some free spirited, some meticulous, some superstitious. None of which can guarantee success, but each in pursuit of individual excellence and collective results. It can get complicated – money, fame, expectation and the pressures that come with it. The better ones understand what works best for them and try to remain in the mental frame that gives them the best chance of succeeding. It is often overlooked that it is young boys and men with varying personalities and back-grounds (most certainly in both India and South Africa) come together for five days on the field to achieve a result. Some succeed. Most fail. Also, the ones delivering at the final stages of the game walk away with the limelight though victories are constructed and achieved over the five days. And often, it means different things to people within the team itself – some on their last legs who may never experience it again; some for the first time who don’t know how many more is in store for them, and some after a long time who don’t know if they will be around when it is the next time! And often, for a lot of them, including the game, certain things matter more than the result itself. When Duminy and de Villiers scripted a famous chase in Perth two years ago, it showed the giant strides post-aparthied South Africa had made as a cricket nation. True that the quota system still rankles many in that country and have affected a lot of cricketers who seek refuge in the UK as Kolpak players and even those who try to qualify to play for England. But, it also showed progress of cricket in a nation that is spread across the society and colour. The day might not be far when a Muslim with Indian roots will lead South Africa. It is a huge statement considering that football is still seen as predominantly a black man’s game and rugby as that of the white man. Recently, they embraced the idea of playing two spinners in spin-friendly conditions, not seen previously as their forte. They might not have always won under extreme-pressure, but perhaps, they have got it right with regards to their cricket and its progress and development. 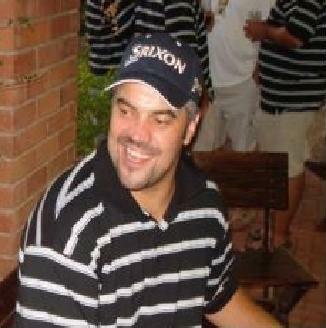 Kallis, Donald, Pollock have been great cricketers – the best of their kind. Who is to say Amla, de Villiers and Steyn won’t? And they are not far away from being the best Test side in the world either. Perhaps that vindicates their progress on all counts. On the other hand, India has its own tussles. A country brimming with growth and confidence but also a nation where corruption is widespread and cricket a national pastime like no other. All Indians are armchair critics with opinion more from the heart and widely fluctuating from one game to the other. After all, million dollar business acquisitions and million dollar scams can appear side-by-side on its newspaper front pages on the same day. Success and failure can be measured by the quantity of runs and wickets than the quality of wickets and opposition. Relative comparison is the order of all Indian families – from entrance exam results to cricket scores. Cricket has managed to survive the many changes with the country – the many divides from culture to class, language to religion – it has managed to survive the chaos it can be and move on – from the time when each religion fielded its team in the Bombay Pentangular to the top of the official Test rankings and conceiving the most successful and controversial cricket league. Tendulkar, Dravid and Laxman may never tour South Africa again. But they represent the India who fight odds but still make it big in their fields. It shows endurance, courage and more than anything else that pursuing excellence often yields results. May be that is the lesson many of the IPL generation needs to learn from them. So when India square-off against South Africa in a few hours’ time in what would be a crucial Test for the many that take part in it and how it might change the lives of many based on its outcome, and how the winning team and its supporters might lay claim to be best team in the world, let’s also understand that they are best two cricketing nations for they may have embraced a lot more than just cricket to be best in the world.